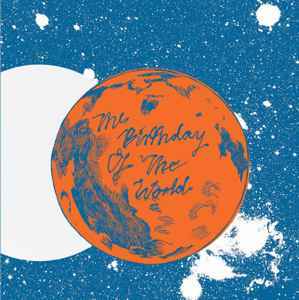 "a science fiction themed art-pop odyssey titled 'The Birthday of the World'. Inspired by the stories of Isaac Asimov, Ursula K Le Guin, and Arthur C Clarke, the new album is an exploration of Earth's last days and the colonisation of Mars"
The Birthday of the World is a jangle pop with some elements of neo-psychedelia and special stress on guitars. “Life is an endless love song, a lust that’s finely tuned, a slowly swirling dream, a drug we must consume. A debonair, with yellow hair, an auburn headed fool, all colours faded again within our greens and blues.” The instrumentation is excellent – keyboards and violins add to the romantic atmosphere of the album so all the songs are expressive and quite lyrical.